Looks: Extremely dark buds with very dark red colored hairs. There is very little crystal formation. 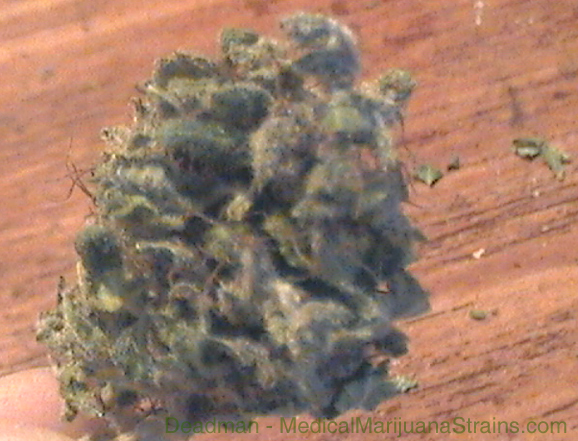 The bud is slightly airy to the point were a 1/8 looks like a 1/4. Smell: Not too pleasing at all it is very herby and harsh smelling which to me seems like there was not much of a curing process. After I ground it up it released a slight orange scent that was pleasing. 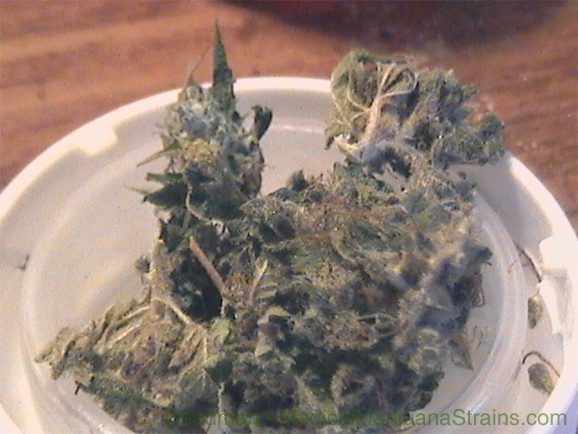 Taste: The taste is not to much to brag over either it was slightly orangy but once again the taste of chlorophyll over powers any natural taste the bud could have given off had it been cured properly. Effects: The high is mostly energetic but very light. Personally I very much like indicas because its sleep and relaxing qualities but this bud just made me want to get up and move. If you have important things to do this is the bud for you although the lightness of the high is hard to get medicated on.